We are healthier, longer lived, better fed, watered, educated and entertained than any generation in history. But we are not happier. We enjoy access to a virtual world of information at our fingertips, yet we are increasingly ignorant of the real world we live in. Given the countless products and lifestyles we have to choose from, why do most of us live out virtually identical lives? Everything Now – where we can have whatever we want, whenever we want it – has infiltrated almost every area of our lives. The constant drive to invent products we don’t actually need is not only an unsustainable waste of dwindling natural resources, but also demands that we are kept in a permanent state of dissatisfaction. 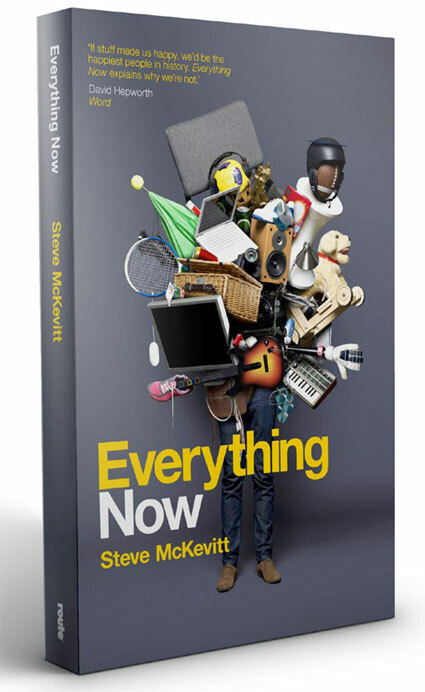 In this book, Steve McKevitt reveals how the Everything Now culture is preventing us from addressing the biggest issues of our time and how having less really can make us happier.